A number of websites supposedly focused on the Visegrad Group (V4) or in general on the Visegrad cooperation have been recently set up. These websites, despite their visual appearance and visible references to the V4, have not been in any way authorized as part of the official V4 channel of communication. They may therefore serve different purposes than informing about genuine Visegrad policies and activities. 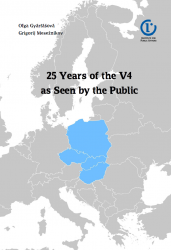 To avoid any misinformation, confusion or misleading of the public the Ministries of Foreign Affairs of the V4 countries wish to confirm hereby that the only official V4 webpage is to be found under the following link: http://www.visegradgroup.eu/ (alias http://visegrad.group). Please also note that the official website of the International Visegrad Fund is located under the following address: http://visegradfund.org/ (alias http://visegrad.fund).